The government guide, aimed at young people, is an unintentionally hilarious visual aid that cautions against the desire to capture the most unique selfie. 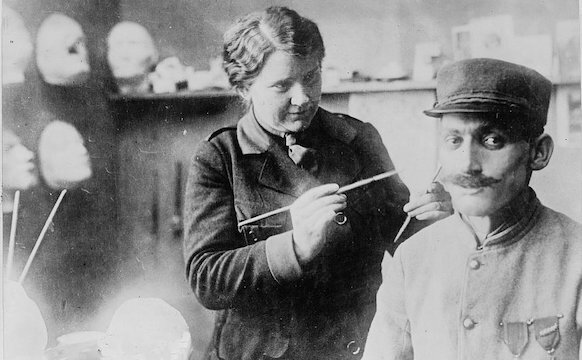 Red prohibition signs illustrate some of the real stunts Russians have pulled, as well as some truly inane, made-up ones, such as posing with a wild cat and hanging off a roof from a television antenna. Each is followed by a short warning, and the guide also includes summaries of the real-life casualties for emphasis. One image shows a figure wielding a selfie stick as a train approaches; an ominous message accompanies it: “SELFIE on the rails — bad idea, if your life is valuable to you!” Beneath the icon, a few lines of text recount an incident in May when a student from the Ryazan region of western Russia was electrocuted while trying to take a selfie near a train track, fell off the bridge he was on, and died in the hospital. 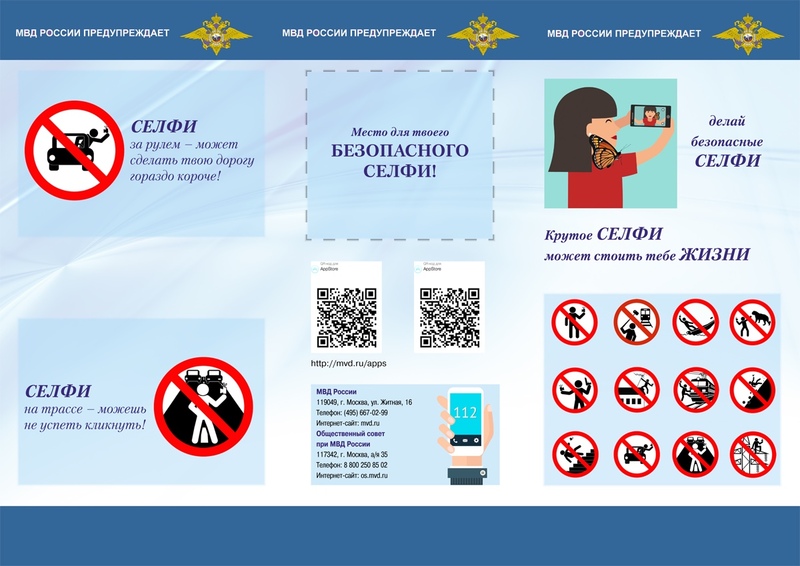 Another image of someone posing with a gun reads, “SELFIE with weapons kills!” and describes the recent death of a 21-year-old woman from Moscow who accidentally shot herself while trying to take a selfie holding a gun. According to the press release, police will distribute the guide to citizens at public events and to students in safety classes. 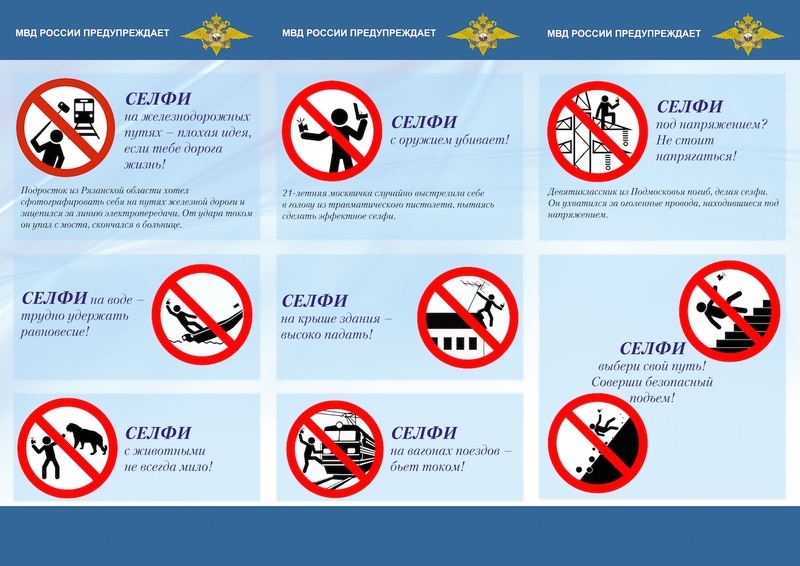 The Ministry has even created a page where you may submit your own cautionary selfie icon warning against other potentially dangerous situations. So go forth and selfie, but try to keep away from exposed wires and pumas.